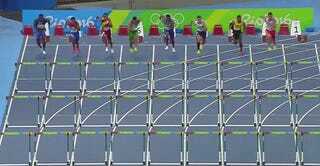 Jeffrey Julmis of Haiti must have thought he was in the plain old vanilla 100m race instead of the 110m hurdles this afternoon. While approaching the first hurdle in the race, Julmis offered a meager hop, and ended up tangled up in it on the deck. 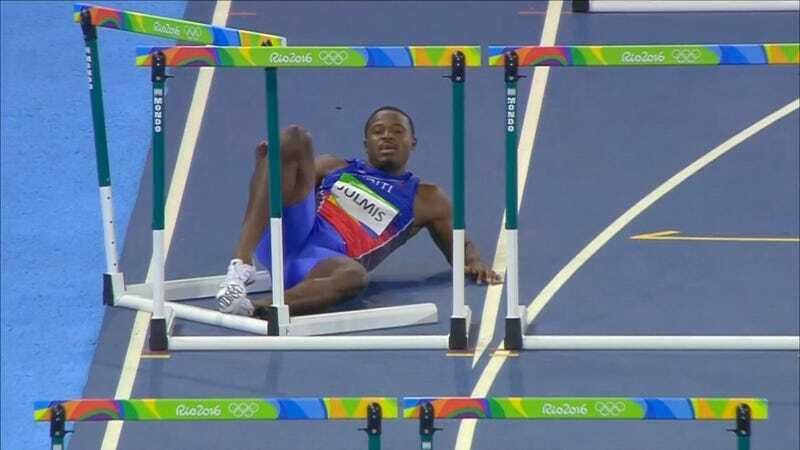 Thing about hurdles is, you’re supposed to JUMP OVER them not TUNNEL UNDER them. 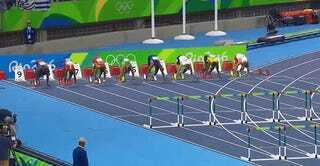 Julmis went and finished the rest of the race by himself, and managed to clear the rest of the hurdles.